Just 45 mins from La Villa – the wonderful Chateaux de Caux and the restaurant l’Ambrosia are the perfect match for a tasty day out. During the summer months, Chateau de Caux (just 5km from Carcassonne) offer a walk amongst the vines & wine tasting. The 90 min tour allows you to walk through some of the chateau’s vineyards which back onto the UNESCO World Heritage Site, the “Canal du Midi”. Commencing at 10.30am, the tour (with an English speaking guide from the chateau) will discover the history of the vineyard, the variety of grapes planted, together with the ‘vinification’ process involved – then, & most importantly, a tasting of their wines (some of which are featured on our 2018 wine list here at La Villa). After the tour, just ten minutes away, you can savour a wonderful lunch at the restaurant l’Ambrosia – enjoy either the “Le déjeuner de Marché” (their menu du jour) or choose one of the other set menus or a la carte. After lunch, your drive will take you back over the Montagne Noire, perhaps visiting one of the medieval villages like Saissac or Montelieu (the village of books) on the way. 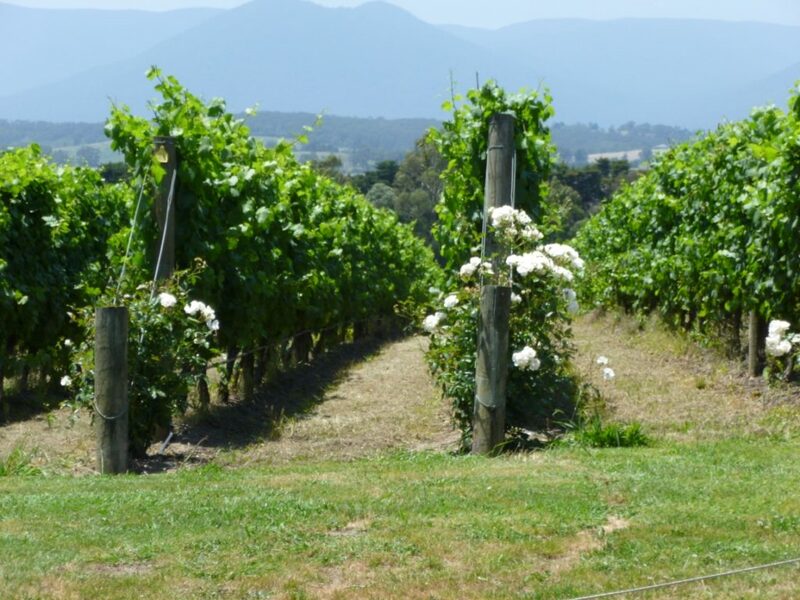 This is a great day out to discover some of the region’s great wines & cuisine. We can make all of the reservations for you and even arrange a car & driver so you can enjoy the tasting even more!